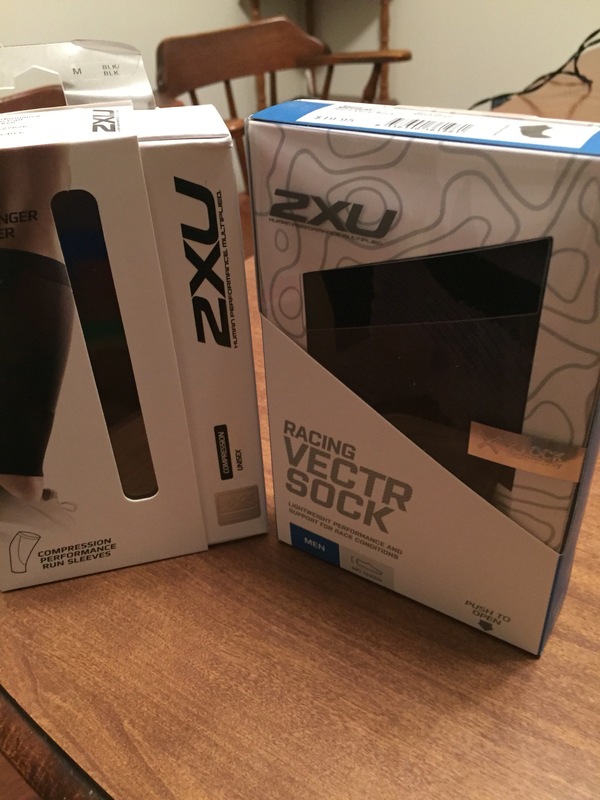 2XU Racing VECTR Socks & Compression Run Sleeves – Daddy, Did You Win? 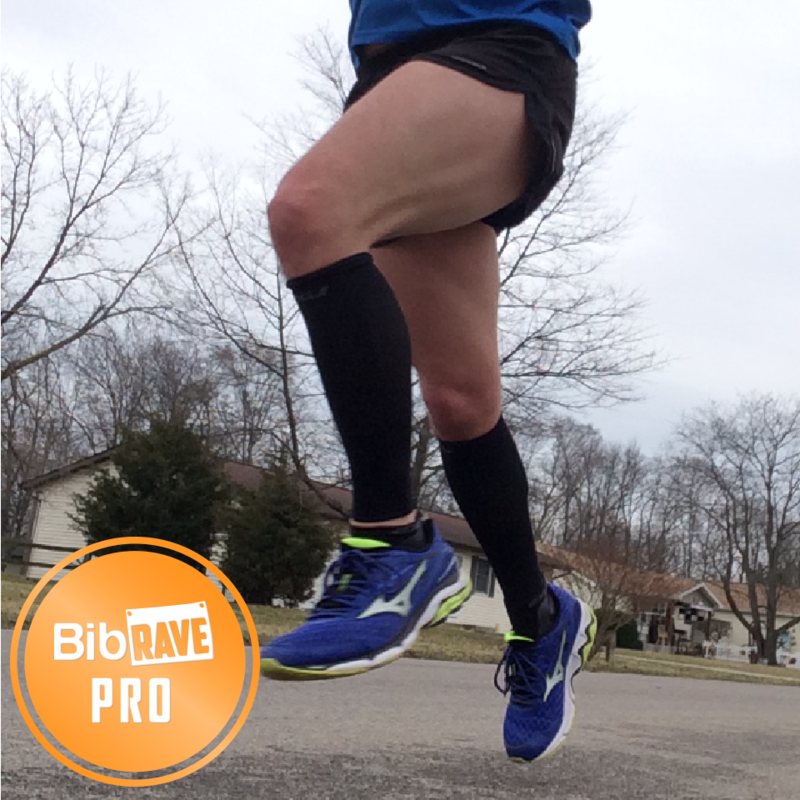 Disclaimer: I received the 2XU VECTR Socks and Compression Performance Run Sleeves to review as part of being a BibRave Pro. Learn more about becoming a BibRave Pro (ambassador), and check out BibRave.com to review and write race reviews! I love compression sleeves and socks. I have been wearing them on every long run and speed workout that I have done over the past few years. But I don’t wear them just while running. After a tough workout or hard race such as a marathon, I will slip on a new pair after I shower. Compression sleeves and socks are made to get the blood flowing and therefore quicker recovery. So when asked to try out the 2XU VECTR Racing Socks and Compression Sleeves, I jumped at the opportunity. 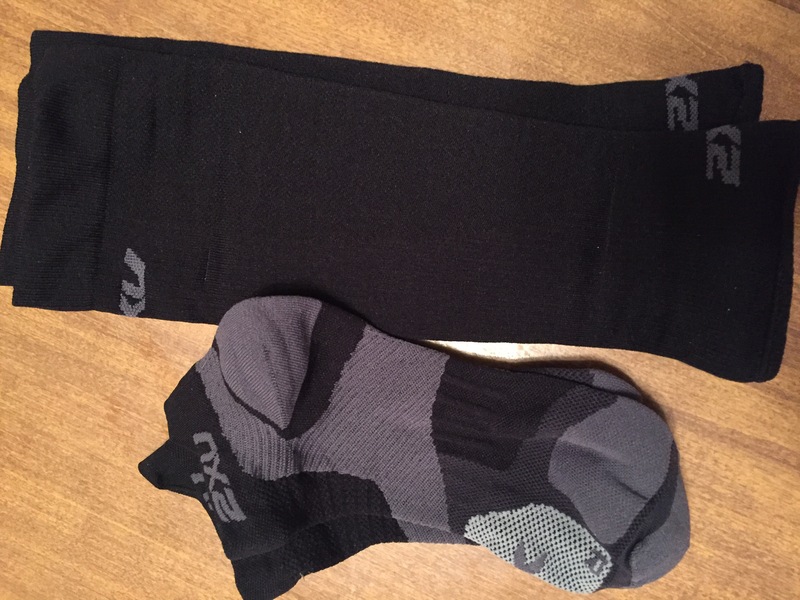 The VECTR Socks and Compression Sleeves were not the first compression product that I have tried from 2XU. A couple months ago, I tried out the Hyoptik Thermal Compression Tights. I really liked the thermal tights (the only tights I wore all winter long) and so I had high expectation for the socks and sleeves. 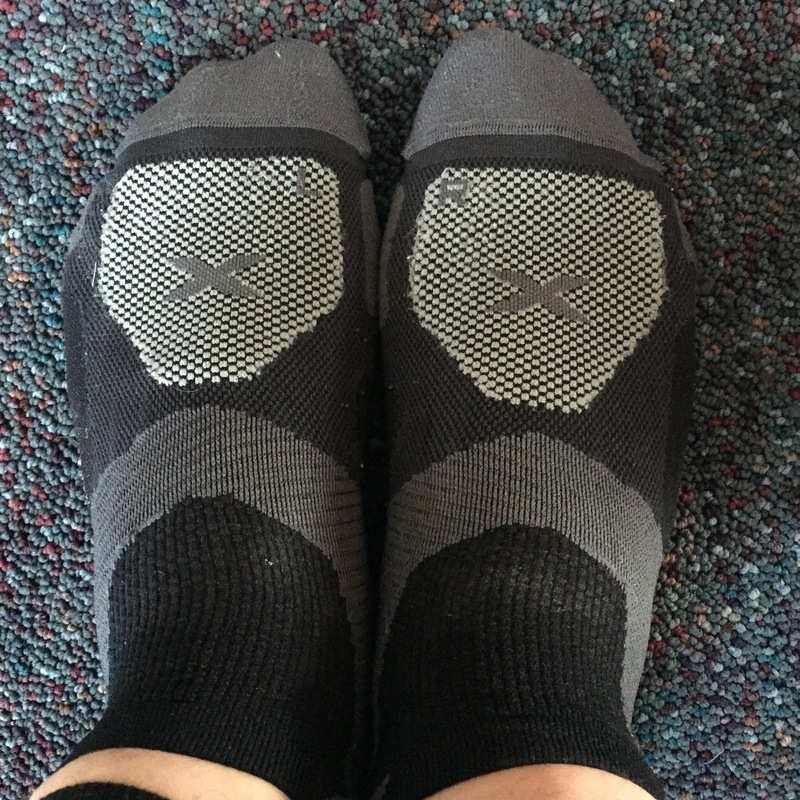 One of the first things you may notice about the socks is that they are labeled with an L and an R. Obviously, this is for Left and Right, but what difference does it make which foot you put into which sock? With the VECTR socks, it does actually make a big difference. They are designed to be ergonomic (provides added comfort). The socks also have added cushioning in the heel to absorb the impact on when it hits the ground. These socks also have X Lock technology which is designed support the arch and ankle. As designed, they are a snug fit, which I really like. What runner likes the feeling of their socks shifting during a run? 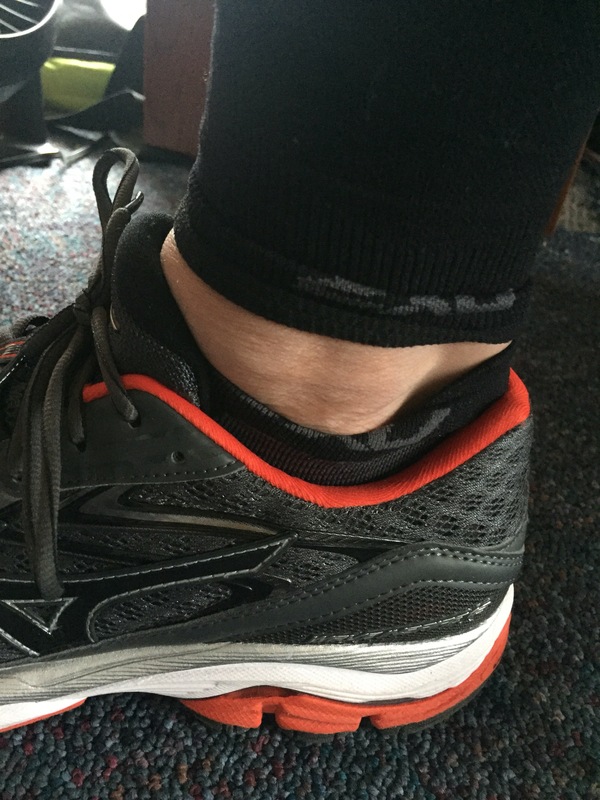 They are very lightweight socks and very breathable keeping my feet very dry during my runs. Also I really like the no show cut around the ankle as well. Now for the calf sleeves. Calf sleeves are not new to me, however, I am used to wearing just the full compression socks instead. 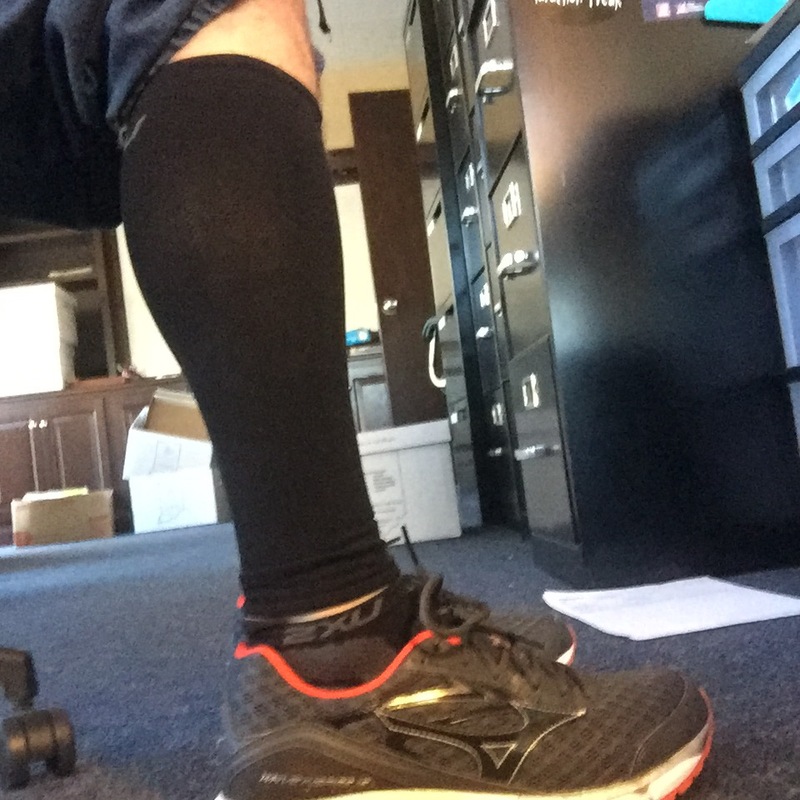 The advantage of the sleeves instead of full sock is that if you don’t feel like you need the compression in the feet, and just want it on the calf, you can just use the sleeves and wear other socks that you like. But I suggest wearing both of these products together. I also like the sleeves because it gives me the option of having some compression. While at work to help recover while still wearing my work clothes as I am doing today. A question that I get a lot, especially during the warmer months, is don’t my legs get really warm with compressions on? With these sleeves, they feature zoned breathability panels which allows for more airflow. Ultimately, they are designed to keep your legs cooler. In these sleeves, I can really notice that my calves and shins feel the extra support that they are supposed to provide as well, aiding in quicker recovery. These sleeves are also UPF50+ sun protected. During the time that I tried out the socks and the sleeves, I can say I have no complaints. They did the job. 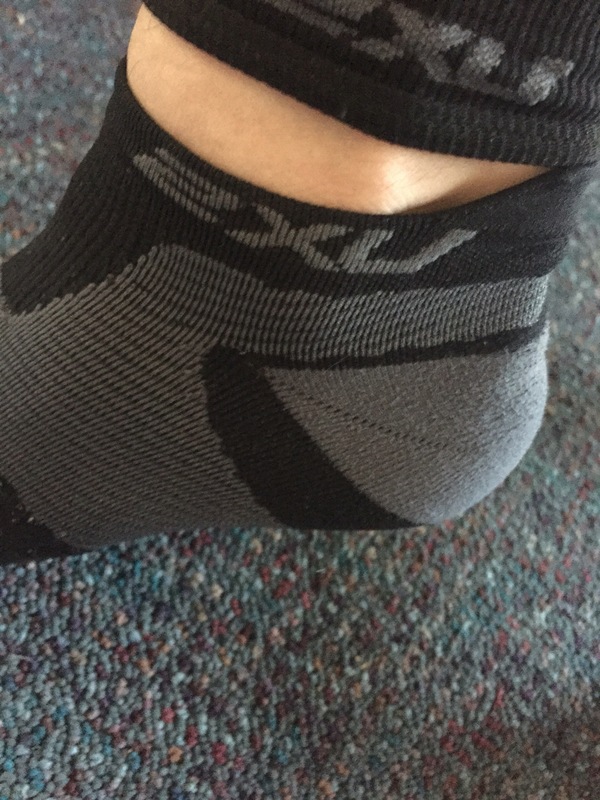 I have had compression socks and sleeves that slid down on my before but the 2XU gear stayed in place. I have tried them on long runs, speed workouts, a half marathon race, and even while recovering, and they worked great! If you look at their fit charts online, they are true to size and I really like how they feel. Who wants a discount code? Who doesn’t love a discount? Use promo code TRAIN15 to save 15% off on your 2XU purchase! Highly recommend you purchase the VECTR Socks and Compression Sleeves! On Tuesday night, March 22nd at 9:00EST, come over to Twitter and join us for #BibChat! This weeks sponsor is 2XU! Follow @BibRave on Twitter for all our Tuesday night chat questions!